The role of “freight forwarder” nowadays has tremendously changed from last two decades and earlier. To merely ship the cargo from one place to another may not be sufficient to the ‘i-phone’ age. The multinational companies need more sophisticated logistics partners who can well understand of their complicated logistics requirements and thus, can provide the total or optional solution package of the logistics activities including but variety mode of local transport, packing, warehousing and warehouse management, customs clearance and international transport. While majority of the freight forwarders elsewhere are focusing on the “price-cut” approach and hence offering the “cheap service rate” in exchange with the limited options to satisfy the customer’s logistics need, our belief is the other way round. Since the logistics requirements by each and every customer are different, we will always tried to provide the our logistics solutions that fit each and every requirement rather than offering those common standard services which may not only waste of their time but also lead to their huge business lost at the end. Two decades of experience in both local and international logistics provider had enlighten our management team to understand the key success factor of the logistics service. Surprisingly, it is not the huge investment on the truck fleet nor the big scale office area. Neither it requires giant warehouse nor the million dollars computer mainframes. The communication and the commitment are the answers to this question. From our research, we had found that most of the discrepancies in the logistics activities were induced by how well the communication takes place; both internal and external. Whether it is miscommunication, late communication or no communication at all, these failures had significantly brought to the multinational traders more or less lost in all cases. 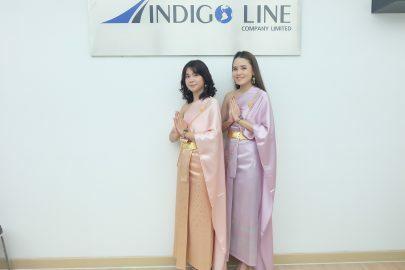 To cope with this problem, Indigo line has focused more on our internal logistics know-how and the effective way of communication we have with; not only our customers but also all relevant parities including our local worldwide strategic partners. Logistics for e-commerce is a new service for a modern business that everyone can do the import/export business without a physical office via an internet platform and/or via social media such as Facebook, Twitter or Instagram. The use of full container is base on whether the cargo is more on weight or volume. A 20’container can container up to 35 metric tons weight so it will best fit those heavy weight shipment such as agricultural goods, raisin while a 40’ container is more preferable for those automotive spare parts, furnitures, electronics cargo whose dimension will be the key of the freight charges calculation. It will cost too much and unreasonable to send just a few small cartons of ceramic ware in a 20’container as an FCL shipment whilst we have LCL service as an option. The LCL service provide the sea freight service to the customer whose cargo weight and volume is much less to fit into a sea container. We provided daily departures flight under the operation of the best airlines such as Thai Airway International,British Airways,Emirates Airline, Etihad Airlines, Cargo Lux and Lufthansa at the best rate you can imagine of. The use of full container is base on whether the cargo is more on weight or volume. A 20’cotainer can container up to 35 metric tons weight so it will best fit those heavy weight shipment such as agricultural goods, raisin while a 40’ container is more preferable for those automotive spare parts, furnitures, electronics cargo whose dimension will be the key of the freight charges calculation. We operate the daily transportation crossing the border between Thailand and South East Asian countries especially China,Laos, Myanmar, Vietnam, Malaysia, The customer can choose only the transportation or the complete door-to-door service. We offers the customs clearance service through ‘Customs Link’; one of our sister company. The service range covers from a simple export/import shipment to the complicated Exhibition shipment. Our logistics service included the local transport which is part of the comprehensive logistics solutions. We provide packing service which help you to minimize damage and risk that could be occurring to your products.Our packing is light weight that makes loading and moving easier. Lighter loads also reducing your freight costs. We can provide a full warehousing facility to clients in order to fulfilment services. The meet with the intensive world business environment, the DOOR-TO-DOOR logistics service becomes the very essential service to the international business operator for the time being. However, since the process itself consist of variety logistics elements such as freight, customs clearance, packing/warehousing, it is not very easy to manage all these things properly; in good order, at the right time and quantity. Using Indigo Line service, thus, is the choice you might think of.